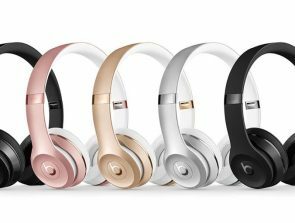 Are you interested in buying the best closed back headphones, but with the wide selection of choice out there you are not sure what specific product to select? We are here to help you in this buying guide to make the right choice from a list of the top options. We have done the research on your behalf and ended up with a list of 10 high quality closed back headphones. We also have information on the pros and cons of closed back headphones below. Audio reproduction is excellent and premium look. Excellent battery life and well-implemented microphone. Durable, excellent fit and reputable brand. Closed back headphones have sealed earcups that keeps the audio within the earcups. This creates the audio sensation that it’s all happening in your head, but there are a number of positive aspects to such a design that you’ll learn in this section. You can only have a closed back design with over-ear headphones where the entire ear can fit within the earcups. With on-ear earcups you won’t have the characteristics of a closed back design because the ears aren’t sealed. 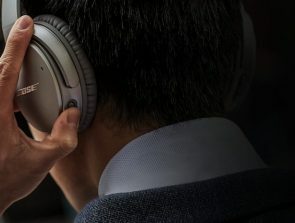 Noise isolation: enjoying audio in noisy environments can be frustrating, but with closed back headphones you’ll have an easier time getting it done. The earpads are designed to keep out ambient noise so the audio within the earcups is cleaner. No sound leakage: the earcups of closed back headphones do an excellent job of not allowing the audio to leak out into the surroundings. Therefore, people around you will not get frustrated by your personal audio experience. You can make use of closed back headphones at the office, in your living room, and public transport. However, there is one significant drawback you should be aware of before opting for closed back headphones. The closed back design doesn’t do a good job of ventilating moisture and heat. Therefore, you may need to take breaks more frequently when compared with open back headphones. The specific materials your closed back headphones are manufactured from will dictate the seriousness of the problem. The products below are spread out across 3 different price categories, which means you’ll be able to match up the headphones with your budget in a straightforward manner. A number of buying considerations will be shared with you so that you can make an educated choice when selecting your product. There is no need to leave things up to guesswork when you can pick out the headphones that match up with your specific requirements. Are you not sure if you even need closed back headphones as an audio solution? To help you answer this question we will present you with the different uses and types of buyers that are suitable for this product. This should help you figure out if closed back headphones can be useful for you. By the time you finish reading this buying guide we are confident that you’ll have a great idea of how to select the right headphones for you and the specific model that you want to buy. The closed back design offers different audio when compared to open back. Some describe the sounds as being more in your head than all around you. Also the closed back design has noise isolation, which means that the audio of the surrounding environment will be blocked out. Therefore, the audio that is produced by the headphones does not need to compete with noises all around you. This will improve the clarity and precision of the audio experience. The audio drivers must also be considered as these are the unit that actually produce the audio. Pay attention to what ones are used and they are typically measured in mm. The frequency range is another key indicator of the audio quality as that will determine how rich the bass experience will be. As a rule of thumb a wider frequency range leads to better audio. The comfort of your headphones must be excellent if you are going to enjoy your audio experience. Uncomfortable headphones can make for a frustrating time if you need to constantly adjust the fit. Closed back headphones have a design where the air cannot pass from inside the earcups to the outside environment. This has some important implications for how that relates to the comfort. Firstly, the heat and moisture dissipation will not be very good, which might lead to you having to take regular breaks. However, this isn’t always the case and depends on the specific design implementation of the headphones. The connectivity experience can be wired or wireless and you need to consider your requirements to figure out what the best approach is for you. With the wireless option you can have an extended connectivity range, which means you can sit back in your couch and watch the TV while wearing the headphones. Bluetooth is the technology used behind the wireless connectivity and you need to consider what specific version of Bluetooth is enabled. Also the battery life must be considered as that will determine how practical they will be for demanding individuals. Also a few models have a quick charge feature that can help you get some battery life when you have forgotten to charge the headphones. The advantages of a wired approach is that there is no need to charge the headphones and some argue that the overall audio quality is better. There are plenty of wired and wireless options in the marketplace, which means you’re spoiled for choice. Select high quality materials for the headphones that you buy so that you can depend on them for a lengthy amount of time. It would be a shame if after only a year the headphones began to deteriorate because of the poor quality implementation of the design. Looking for the top brands is a good idea when trying to buy products that are durable, but you must also check out the warranty information. When a brand offers multiple years worth of warranty, then it is a strong indicator that headphones are built to last. Where possible we will mention the design of the headphones from a durability standpoint. It is not uncommon to buy headphones based on the brand alone. A brand typically brings out products that are alike in the aesthetics and also in the type of audio that is produced. Therefore, if you liked a particulardesign in the past, then chances are a recent upgraded version will also be to your liking. On this list we have sourced some of the best closed back headphones and also the top brands in the industry. Therefore, you should be able to select an option that you can be confident in from day 1.
Who should buy closed back headphones? The closed back design means that noise isolation will be excellent in a lot of the models. Therefore, you can use these headphones in a noisy environment and still be able to hear good quality audio at high levels of clarity. For example, you could be walking down a noisy street and when a loud car goes by you might not hear it at all. The level of immersion for your music will be much better, because the audio within the earcups does not need to compete with the audio of the surrounding environment. Do you need an audio solution in a busy office or in a noisy home? Then closed back headphones are perfect because you’ll be able to hear the audio without background noise to disturb you. Furthermore, you will not disturb others because the close back design drastically reduces the volume of audio that leaves the headphones. So if you live at home with others then you can do them a favor by investing in closed back headphones. Closed back headphones will make for an excellent present regardless of who you buy for. Nowadays with the comprehensive array of technology around us there is a lot of use for a personal audio solution, which means that regardless of who you are buying these for they are likely to be appreciated. Use the 3 price categories to select the appropriate product for the budget that you have to spend on the present. Are you looking for a budget option that delivers an awesome closed back headphone experience? Then in the under $150 category you will discover excellent options that delivers performance on a budget. You’ll even find a few models that have the look of premium priced products that are in the more expensive categories. The biggest difference between this category and the pricier ones is the level of audio quality. However, if you do not have very strict requirements, then you’ll be pleased with the audio product provided here. Are you looking for headphones that can deliver an awesome level of performance yet at a budget price point? 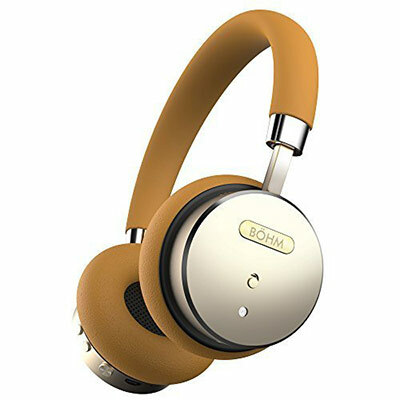 Then you should consider what the BÖHM Wireless Bluetooth headphones have to offer, because for just over $100 you can enjoy awesome audio, noise isolation, and Bluetooth connectivity. The noise cancelling feature allows for high levels of insulation from the outside environment. You will be truly immersed in your music by canceling out the surrounding environment so that the audio produced by your headphones doesn’t need to compete with that of the audio produced by the earcups. The build has a premium feel to it, which is great considering the relatively low price point for these awesome headphones. You can be confident of durable performance that will stand the test of time. The Bluetooth connectivity works at a maximum distance of 10 meters way from the source of the audio emitting device. Additionally, the battery life lasts for a maximum of 16 hours when they are used at 50% volume. The driver unit is 40mm and the noise reduction performance is at 20 decibels. The audio performance is excellent for this budget category of the best closed headphones. To summarize, the BÖHM Wireless Bluetooth headphones are excellent for a variety of uses. The portability allows you to take these on your travels and you can enjoy the music without disturbing others because of the noise isolation. Furthermore, the Bluetooth 4.0 means you don’t have to deal with wires when using this product. It’s the best closed back headphones that you can buy in the budget category. 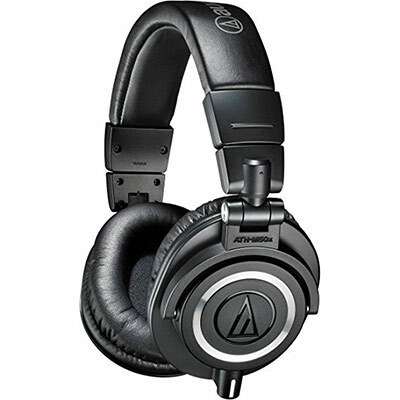 The Audio-Technica ATH-M50x is perhaps the best non-Bluetooth headphones in the budget category. The attention to detail in this product is amazing and truly delivers an awesome audio experience. It goes to show that you do not need to pay a premium price point to have a quality product. Included are 45mm large-aperture drivers that deliver excellent audio. They are made out of rare earth magnets and copper-clad aluminium wire voice coils. This leads to excellent clarity across all frequencyranges – precision and high levels of sound reproduction can be enjoyed. Furthermore, the 90degree swivelling cups allows for one ear monitoring, which means you can listen to the audio and hear the noises of the surrounding environment. This is great if you are at work and want to listen in on team conversations, but at the same time progress with your personal work. The level of sound isolation in noisy environments is excellent. They are suitable for use on public transport or when you are in your living room, but want to isolate yourself from a noisy family. The uses are infinite for these headphones and once you buy these you’ll discover many hidden advantages of the noise isolation feature. To conclude, the Audio-Technica ATH-M50x headphones are one of the best budget closed back headphones that you can buy today. The mix of excellent noise isolation, great audio, and budget price point means you’re getting a competitive product. 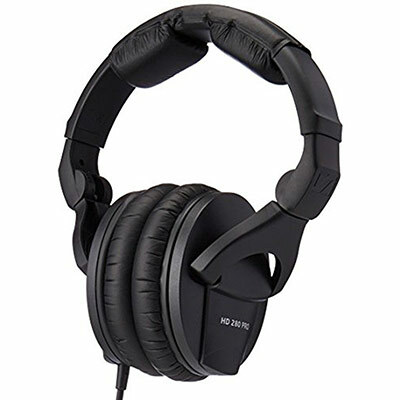 You can buy these as your first closed back headphones or when you want to upgrade to the top of the budget offerings. Sennheiser is one of the premier audio brands in the world and when their name is attached to a pair of headphones buyers should pay attention. This is the new and revised model of the Sennheiser HD280PRO and at the price point of just around $100 you are getting a great deal. This is a wired design and comes with a coiled cable that is up to 9.8 feet in length. Sennheiser is known for their wide frequency response, which leads to good quality bass that is accurate. Warm natural sounds are offered that have a high degree of accuracy when it comes to the reproduction of the audio. Furthermore, an around the ear design is setup, which means your entire ear can fit inside the earpads. The comfort level is high as no pressure will be exerted on your ears whilst wearing these headphones. There is a 32 decibel attenuation of outside sound. The audio cord, headband padding, and earpads can be easily replaced when damaged. This contributes to a robust product that can be used for many years before a replacement has to be bought. Therefore, the value for money here is excellent as you aren’t getting a cheaply designed product. 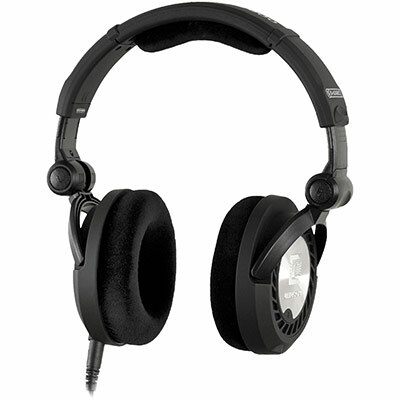 To conclude, the Sennheiser HD280PRO has a combination of great audio, durability, attention to detail, and comfort. Therefore, it covers all the major considerations of headphones. The one thing that was overlooked is not making the cable detachable. This might lead to a cumbersome experience for some users that are used to headphones with a detachable cable. The Sony MDR7506 costs around $100 and for the price you’re getting excellent value. Visually the design looks basic and there is a large headband that connects the two earcups. The Sony branding can be seen on each earcup. The cord has a maximum length of 9.8 feet and ends in a gold plated plug that does not distort the quality of the audio. The cable stretches and retracts to provide a more practical approach to wired headphones. There is a soft travel case that is useful if you wish to take these Sony closed back headphones when travelling. The build is light, which means that fatigue will not be a factor when used for prolonged periods of time. However, the materials may lack a bit of durability when compared with the other entries on this list. The frequency response range of 10Hz-20kHz, which means you’ll enjoy a rich audio experience with a good level of bass. Furthermore, the driver is 40 mm and the overall sensitivity is 106 decibels. These figures indicate that the Sony MDR7506 is an excellent product worthy of a purchase for the budget buyer. 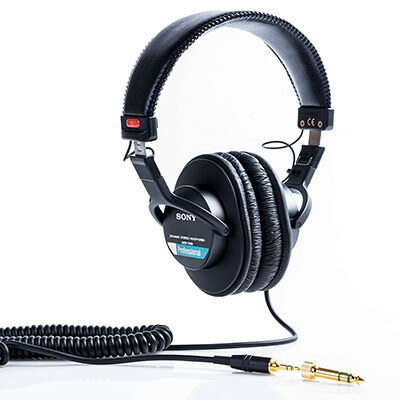 To conclude, the Sony MDR7506 Professional is a good budget open back headphone that delivers excellent audio reproduction and has a lightweight design. Durability might be a problem for users that decide to take this unit on the road. However, for the price point of around $100 you’re getting a bargain that will be hard to beat. The under $350 categoryprovides a mix of value and excellent performance. Here you will findoptions that represent an upgrade over the budget versions and therefore the audio is improved. In this category pay attention to the comfort, audio quality, and durability. By keeping an eye on these specific 3 buying factors you’ll be able to make a smart purchase. 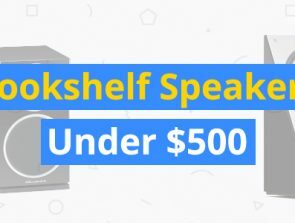 However, to enjoy industry leading products that give you access to the best possible audio out there the under $1,000 category is where you should look, which is located towards the end of this buying guide. 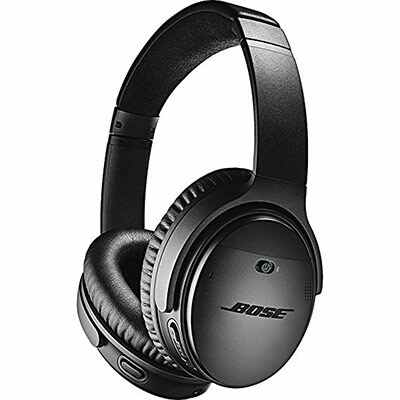 Bose is another highly reputable brand in the audio industry. When buying their closed back headphones you can be confident of value for money and highly competitive performance. This wireless option comes in at around $350 and offers a wide array of features. You can make a choice between black and silver. An app developed by Bose can be used to control a variety of features implemented in the headphones. This includes managing Bluetooth connections, personalizing the audio experience, and adjusting the level of noise isolation. This improves the usability of the product in a convenient manner. There is a microphone that can be used to take calls while on the go. The microphone can block out the audio of the surrounding environment so that the person you are speaking with can hear you clearly. Therefore, you will not need to speak loudly to be heard. The noise isolation of the earcups means that you can easily hear the conversation yourself without asking to repeat what the person said. Up to 20 hours of playback is provided by the rechargeable lithium-ion battery, and when in wired mode there is up to 40 hours of battery life. The flexibility to switch between the two different modes allows you to enjoy the headphones in the way that matches your requirements. To summarize, the BOSE Quiet Comfort 35 Series II headphones are a comprehensive offering that covers all the bases. 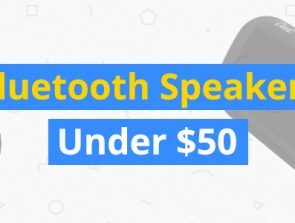 The combination of Bluetooth connectivity, long battery life, excellent microphone, and amazing audio means you’re going to love this product. 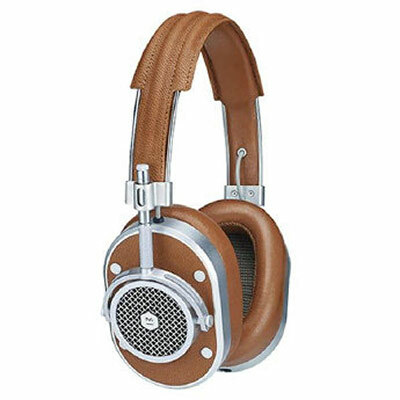 The Master AND Dynamic MH40 headphones have a premium design that is well worth the relatively high price tag. The combination of superb audio, attention to detail, and comfort means you’ll be pleased with this purchase. There are a number of colors that you can select from, which includes brown, blue, black, and white. Therefore, you can customize your look to match your style. The heavy-duty materials are built to last and you can expect decades of use before they will wear out. A stainless steel and leather design is implemented that also provides a high-degree of comfort. You can wear these headphones for hours and not feel the need to take a break. The tough materials means the Master AND Dynamic MH40 headphones can be taken on trip and to work on a daily basis without fear of damage. The 45mm neodymium high-performance drivers deliver an awesome audio experience that is not rivalled by the majority of other headphones in the marketplace. You can be confident that they are going to be one of the best headphones you have ever bought. It is a wired design that comes with a 1.25m cable and the microphone. Therefore, you can make calls using these headphones. The noise isolation aspect of the Master AND Dynamic MH40 headphones means you can hear your conversations with clarity in a noisy environment. The earcups are large, which means they will not press down on your ears. Also the total weight of the product is at 360g, so they are relatively light and not cumbersome to wear for long periods of time. To summarize, the Master AND Dynamic MH40 headphones are the perfect choice for individuals who want a blend of spectacular audio quality, a choice of colors, a comfortable fit, and high levels of durability. At the price point of around $250 the V-MODA Crossfade M-100 is an excellent choice. The execution of this produced has considered all aspects of what a headphone buyer actually needs. Therefore, you can expect the best of comfort, audio quality, and durability. The military level of durability makes use of a STEELFLEX headband, steel frame, exoskeleton fitting case, and has been tested for extreme performance. You can expect to get away with 45 degree bends over 1 million times and the cable can take a bit of punishment too. Therefore, if you are looking for headphones that will last a long time, then the V-MODA Crossfade M-100 is a good purchase. The V-MODA Crossfade M-100 makes use of award winning level of audio that offers an immersive 3D soundstage. Also a 50 mm dual-diaphragm driver is used and hashas very strict levels of accuracy. In particular you can expect the mids and highs to be very well executed so that you have a truly immersive experience. The comfort is another highlight of the product that allows you to wear these headphone for extend durations. The blend of the ergonomic headband, Supple BLISS Memory Foam Cushions, and exotic materials means you’re going to be highly impressed when you wear these headphones. Also the cable has a detachable design that adds to the practicality of the unit. 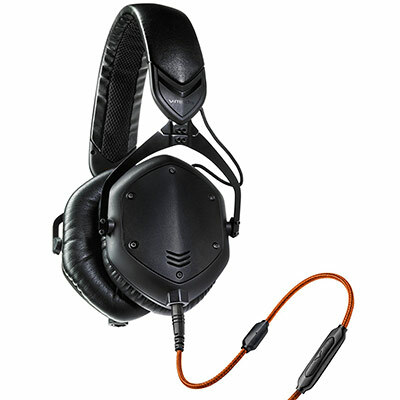 To conclude, the V-MODA Crossfade M-100 provides a blend of good value and performance that will be hard to match. This product excels in all the major categories that you need to consider, which are durability, audio quality, and comfort. We are confident that if you buy these headphones then they will keep you happy with your audio for a long time. 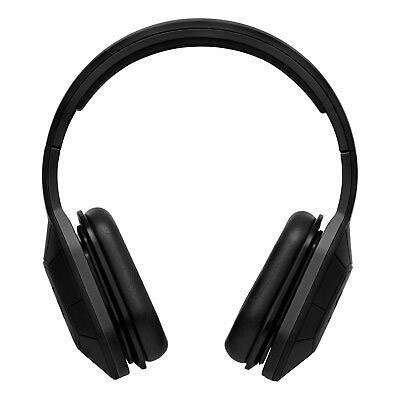 Do you have a big budget and want to best closed back headphones that the marketplace has to offer? Then buy from this category and you’ll simply be blown away. Audio technology has come a long way in the last decade and the products here are indicative of that. In this category pay attention to the audio drivers used, the frequency response range, and the materials used. You’ll find that the manufacturers of these products have left no stone unturned in the pursuit of creating a truly industry leading product. The Beyerdynamic T5p Second Generation is for individuals that have a big budget and are not prepared to sacrifice on the quality of the product. Beyerdynamic has an excellent reputation for high quality offerings across different price ranges, but this premium offering blows the competition out of the water. 32 Oms Tesla technology is used so that the audio transmission operates at very high efficiency levels. Furthermore, the 1.4m cable is double-sided and textile braded, which means the copper conductivity will be amazing. The final result is industry leading audio that will be hard to beat by other closed back headphones in the marketplace. The headphones deliver a full soundstage effect while being closed back, which is unheard off. Therefore, the nature of the audio found here cannot be found in other closed back models –this feature is typically foundin open back headphones. High quality materials are used to manufacture the Beyerdynamic T5p that ensures durability will not be an issue for a long time. Memory foam pad materials and silky-smooth surfaces are implemented to give the headphones a premium feel. The price point is at just under $1,000, which is rather steep. 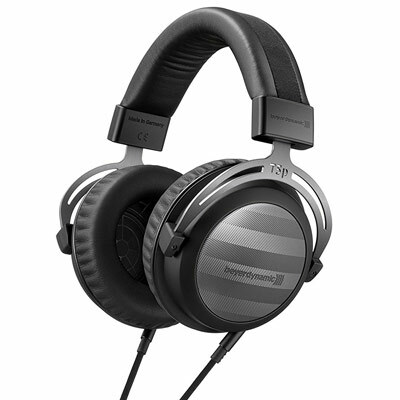 However, if you are a professional or audio enthusiast who is looking for the best, then the Beyerdynamic T5p Second Generation is the way to go. To summarize, the Beyerdynamic T5p Second Generation is the perfect choice for those that have demanding expectations. The industry leading audio, extreme level of comfort, and rare open acoustics in a closed design is attention grabbing. Finally, the durability of the product means that a replacement unit will not be required for a long time. The Ultrasone PRO 900 S-Logicare one ofthose audiophile products that appeals to those that can appreciate good quality audio. The physical design looks rather simple and minimal, but with this unit it’s all about what is under the hood. They do come at a relatively expensive cost of around $500, but the price is well justified when you consider the quality on offer. Firstly, the frequency range is an excellent 6-42,000Hz, which blows the majority of the competition out of the water. Furthermore, the impedance is at 40 ohms and the driver is 40mm titanium plated. All of this combines to deliver an audio experience that will be unlike anything you have heard before. You’ll feel as if that songs you might have been heard to for many years have a new dimension to them. Ultrasone is not known for developing closed back headphones – so this is their first attempt and they have done very well. Surround sound technology is also implemented into the headphones, which means that the overall quality of the audio will be excellent. You’ll feel as if the audio is coming from all around you – different directions at the same time. You’ll have to hear it for yourself to see what the feeling is like in person. They are foldable and relatively light, which means they can be taken on trips abroad or simply to work. Ultrasone used soft ear cushions so that the pressure on the ears is kept to a minimum, and the touch of the headphones on the skin feels nice. To conclude, the Ultrasone PRO 900 S-Logic is an excellent choice for those that have a big budget and want to invest in a next generation audio product. The combination of the surround sound, excellent audio drivers, and transport box means you’re getting a comprehensive product. The OPPO PM-3 uses a revolutionary planar magnetic design that delivers impactful audio regardless of what music you are playing. Also a carrying case is included so that you can store the headphones conveniently whilst travelling. A highlight is the award winning audio drivers that deliver accuracy at all frequencies. Therefore, you can enjoy bass with an impactful level of detail. The planar magnetic design means that the audio quality is unmatched by the majority of products in a similar price range. The closed back design ensures that you have excellent noise isolation and privacy so that other cannot hear what you are listening to. Likewise, you will not be able to hear the audio of the environment around you, which means you can enjoy the audio with a higher degree of clarity. The fit is light and comfortable so you can use these for hours at a time without feeling frustrated with the fit. Visually the design is quite basic, but premium parts are used and due to the durability the OPPO PM-3 will stand the test of time. To summarize, the OPPO PM-3 is one of the better closed back headphones on the market, but at the price point of around $400 it is quite an investment too. The blend of the magnetic planar audio drivers and excellent noise isolation means you’re getting a well-engineered audio product that you’ll love to use for all your audio needs.